weapon of choice (1600x1200). 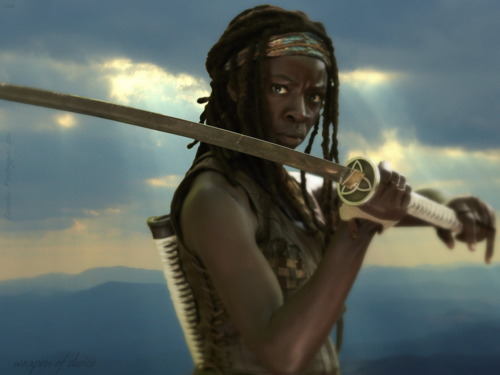 'weapon of choice' वॉलपेपर created द्वारा TheCountess features Danai Gurira as Michonne from the TV series 'The Walking Dead'. 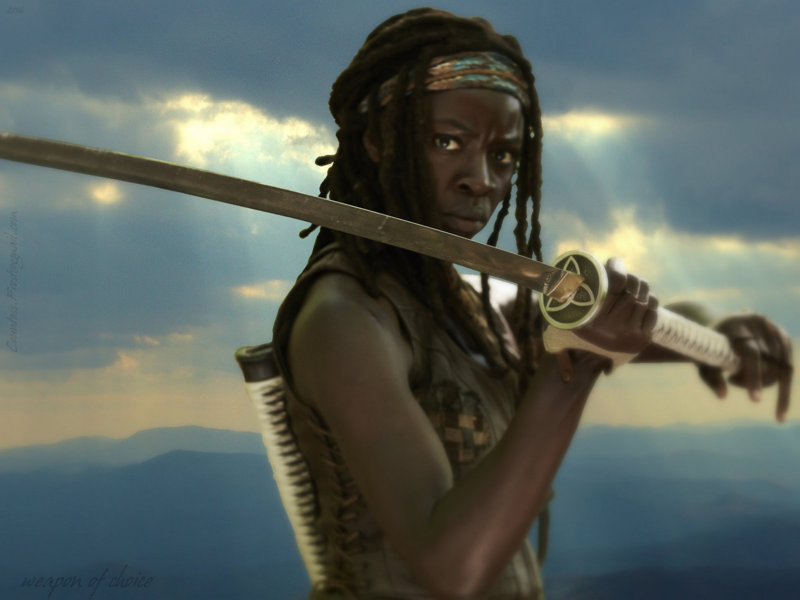 HD Wallpaper and background images in the द वॉकिंग डेड club tagged: photo the walking dead twd tv show michonne danai gurira sword fan art wallpaper thecountess.